UPDATE: The UFC 234 weigh-ins have wrapped up. Every fighter on the card made weight. The UFC 234 (see predictions here) weigh-ins will be coming at you tonight (Feb. 8). There will be no early morning weigh-ins for UFC 234. Instead, the actual weigh-ins will also be the ceremonial weigh-ins. Fighters on the UFC 234 card will tip the scales beginning at 7 p.m. ET. Tomorrow night, UFC 234 will take place inside the Rod Laver Arena. 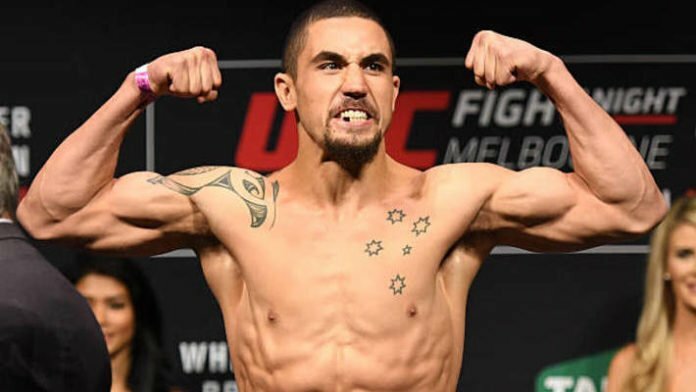 In the main event, middleweight champion Robert Whittaker will defend his gold against Kelvin Gastelum. The co-main event will also feature a middleweight clash where the winner will receive the next 185-pound title opportunity. It’ll be Israel Adesanya going one-on-one with Anderson Silva. Below you can catch a live stream of the UFC 234 weigh-ins. Be sure to keep refreshing this page for live updates as the weigh-ins take place. MMANews.com will be providing live coverage of UFC 234 tomorrow night. We’ve got you covered from the prelims to the main card. Join us for live results, highlights, and post-fight tidbits.